Will Roach and a few of his Broughton High School teammates could have chosen any number of programs to help evolve their basketball skills in the late 1990s. One program in particular, though, was unique. 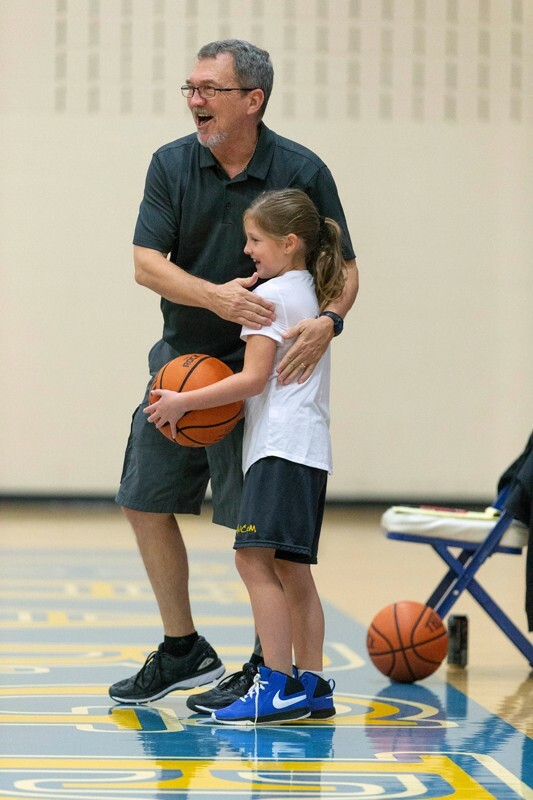 Mike Hollis, founder of NetWorks Basketball, jokes with one of his players, 8-year-old Luci Deese from Apex. She has been attending Hollis’ camps for two years. 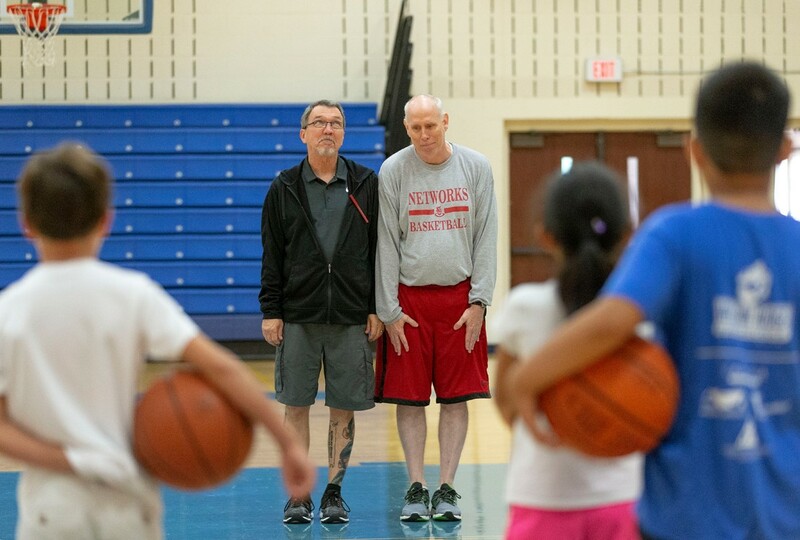 Instead of team-oriented coaching, NetWorks Basketball and its founder Mike Hollis focused on developing the skills of each individual player – whatever their age or ability. “We used to jokingly call him Hollistotle, like Aristotle, because some of what he was teaching us was deep in principle and philosophy, and he had such a strong conviction for making us better people,” said Roach, 36, who played at N.C. State from 2001-2005. 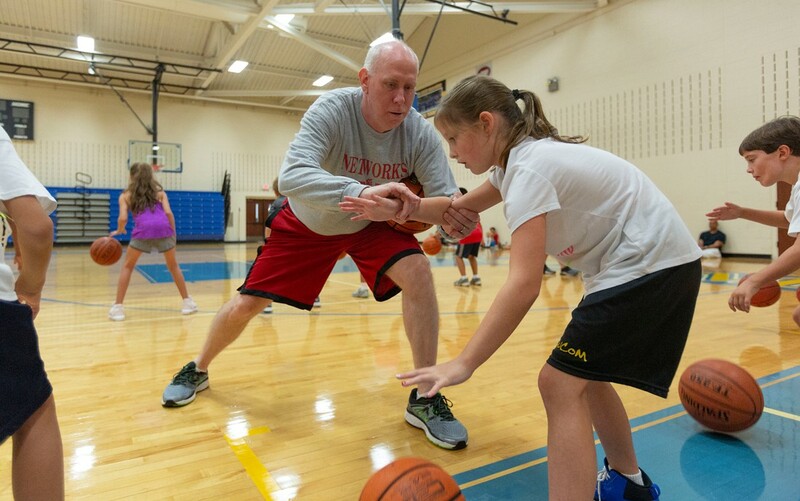 From humble Cary beginnings, NetWorks has influenced more than 40,000 male and female players from kindergarten to the NBA, including former University of North Carolina All-America Tyler Hansbrough and Duke University standout Shavlik Randolph. In October, NetWorks celebrated its 25th anniversary, and Hollis remains at its core. 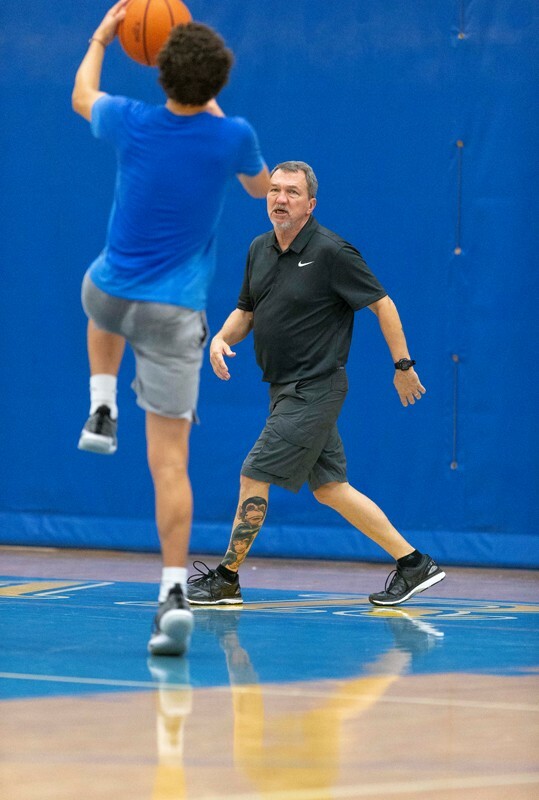 He drills players on the proper way to read a defender, how to make a cut to the basket, or align the body for a proper jump shot. But he’s also as diligent when getting to know the players as people. Hollis’ inquisitive nature helps create connections that have a rippling effect. He builds networks. 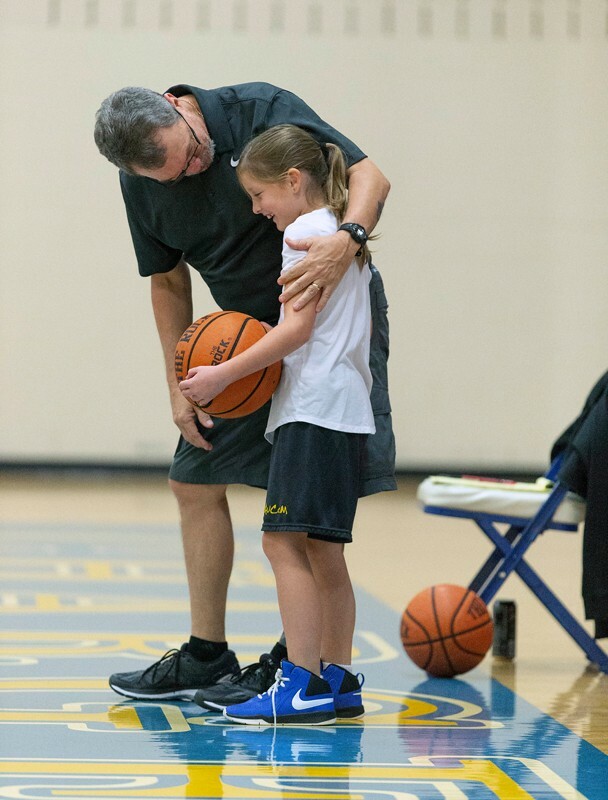 Kevin Nunley, executive director at NetWorks, teaches the proper dribbling position to Luci Deese during a dribbling and shooting camp held at Cary Academy. Roach’s 8-year-old son, Will, is now in NetWorks for the same reason his father joined the program. When Hollis and Will met, the first 30 minutes of the session focused not on basketball, but rather on life. Kevin Nunley was looking to get back into the college coaching profession when Hollis, an acquaintance at the time, asked him to help with NetWorks. That was in 1998. 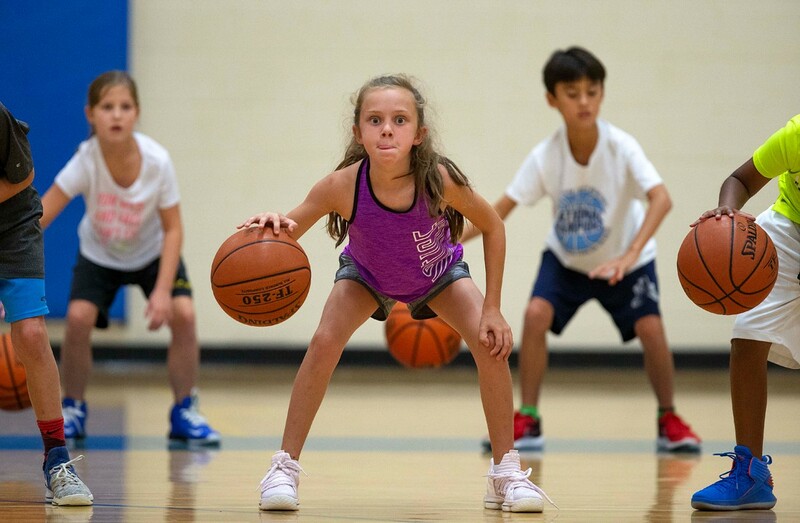 Eva Stikeleather, 9, of Raleigh shows her determination at NetWorks Elementary Ball Handling and Shooters Club. Hollis, 59, was born in Jacksonville, Fla., the middle of three sons. His parents were told he might never talk, because he was born with a harelip and a cleft palate. Hollis estimates he underwent “six to nine” corrective surgeries and remembers having to practice talking. Not until he was about 6 could anyone outside the family understand what young Hollis was saying. “God gives us the opportunities to use our struggles for things that don’t come easy, the failings, to really be a benefit to other people,” said Hollis, who received a degree from Liberty University in Christian ministries and holds both a master’s and a doctorate in education. As a high school freshman, Hollis was cut before official tryouts for the basketball team even started, “and rightfully so, because I had never played and didn’t know what I was doing,” said Hollis. On the way home from school that day, he bought a basketball. Hollis eventually played collegiately at Liberty and remained fascinated with the process of personal growth. He gravitated to education and coaching, climbing the high school and college ranks to become the second youngest coach in France’s Division I professional league. Hollis, though, didn’t like that the focus was on him instead of his players. 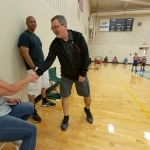 He moved back to the United States and eventually started basketball programs for the Cary YMCA and the Cary Parks, Recreation and Cultural Resources Department that were the genesis for NetWorks. 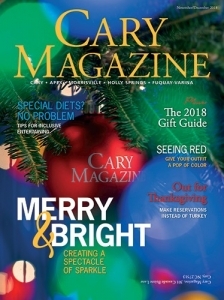 The organization still runs a summer camp for the Town of Cary and offers a variety of other programming throughout the year. Hollis maintains that his coaching philosophy is no different than if he were teaching art or piano or medicine. About five years ago, Hansbrough, the Atlantic Coast Conference’s first four-time All-America and All-ACC player, was in the midst of a seven-year NBA career and looking for a coach to work him out during the off season. A friend suggested Hollis, who helped Hansbrough identify and improve limitations in his game. When Hansbrough’s NBA career stalled in 2016, he sought Hollis’ counsel. Last year he signed to play professionally in the China Basketball Association, where Randolph was already playing. 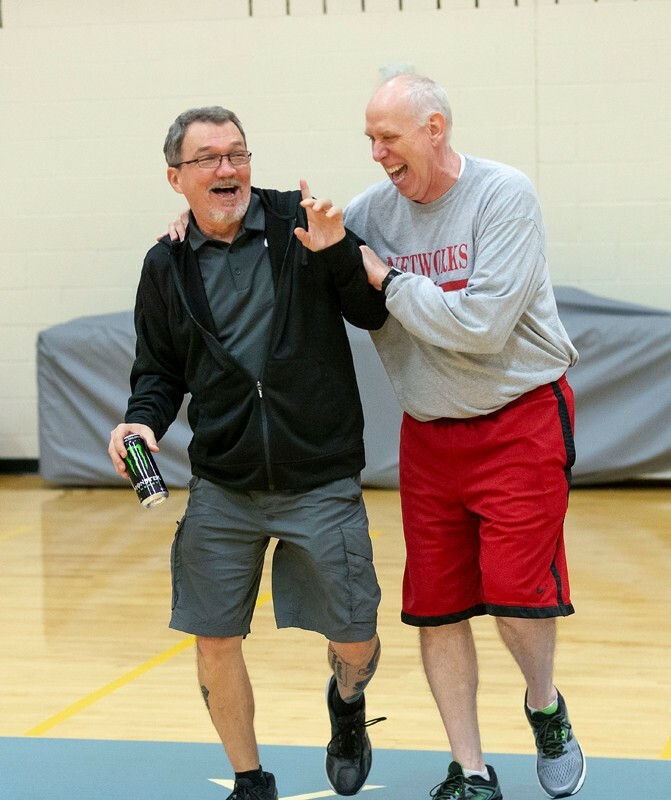 While many observers would point to Hansbrough, Randolph or any number of other recognizable names as Hollis success stories, Nunley knows his good friend would take an alternate route if asked about his greatest impact. 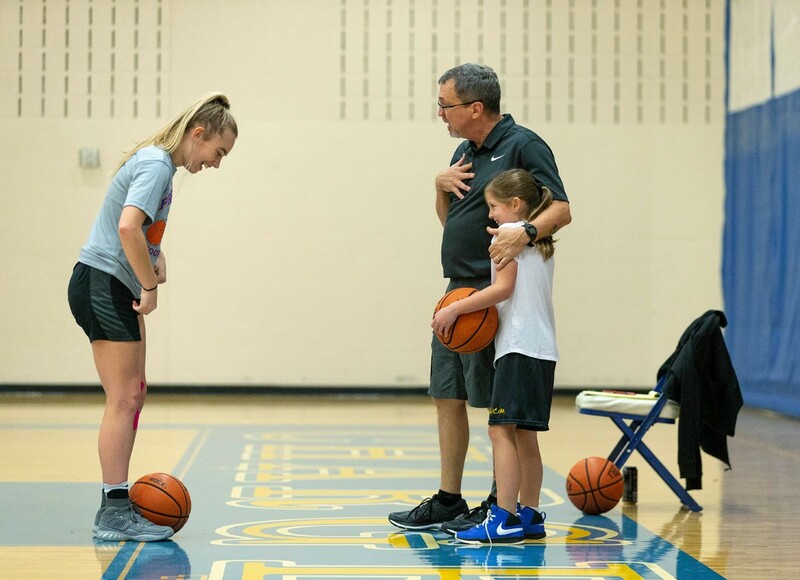 “He finds the value in taking a person who was not a very good basketball player and having that person go on to become a doctor, and then come back and say, ‘I wouldn’t have gotten to where I am if you didn’t teach me how to get here,’” said Nunley. The program made me the coach I am today.